Some people enjoy, in fact need quite a lot of time alone or solitude to recharge their batteries. They feel drained by being with other people for a length of time, especially if those people are lively. There are those who may get pleasure from being in the company of others for a while and then crave alone time. Others are energised by company, especially those who are the life of the party and they don't enjoy solitude. I recently read a blog where the writer said almost all the experiences she later remembered in any detail were those where she had been with other people. She didn’t recall the times she had done something alone and so she couldn't see the value in being alone. For this writer, life was about sharing experiences, not about doing things on her own. On the other side of the coin, author Kim McMillen wrote, ‘When I loved myself enough I began to feed my hunger for solitude and revel in the inexplicable contentment that is its companion.’ Kim needed alone time and didn't feel lonely when she was not in the company of others. Sometimes it depends on what your hobbies are and what you like doing. Some activities can be done equally well alone or in company. You can knit while sitting alone at home or while talking to friends. It can be enjoyable to go to a movie or art gallery with company or you can do those activities alone. Do you like playing sport? 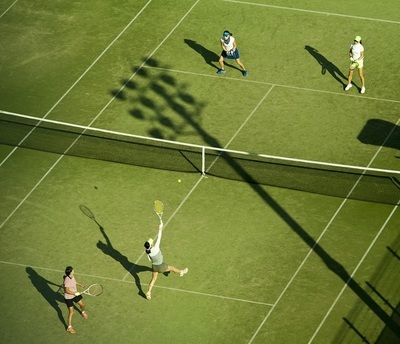 You need a team for that or if you are playing tennis, at least one other person. Depending on your personality, you may find you get more out of a particular activity in the company of others. Or you may enjoy doing it alone. Creating art can be done alone and some prefer to work independently. They may be distracted by company. Others like input from fellow artists and get inspiration when others make suggestions. One person will enjoy going to a cafe alone and another will feel awkward, perhaps bored because they have no one to talk to. One can label a person an extrovert or introvert to explain why some get their energy from company and others from solitude. Those who don't seem to fit either label may fit the ambivert category. These labels can help one understand why people react differently and give some insight to oneself. It can be comforting to find there are other people who have similar needs to oneself. However, I don't feel it is helpful to get too hung up on labels or try to fit everyone into a pigeon hole. 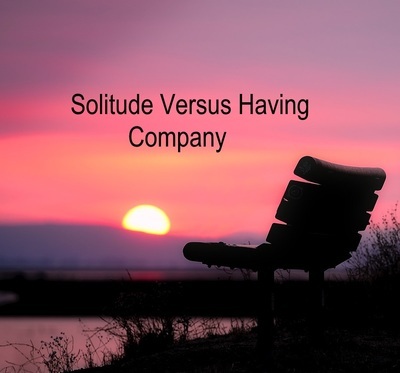 There is plenty of advice about the benefits of both solitude and spending time with others. Perhaps the best thing is to follow your own feeling about what you need at a particular time. Perhaps you would benefit from someone to share an activity or experience with. Maybe today you need to spend some time alone. If you need alone time, do you need to chill at home in your pjs or do you need to go exploring somewhere different with your camera in your hand? Each person’s needs differ and for some it is easier to fulfil these than for others. Is it better to spend time alone or in the company of others? Only you know what you need at a particular time.